When you have selected a folder into which you want to add files you can do so easily by using the upload window that is located at the bottom of the page. Sentle DMS selects files of all types (documents, spreadsheets, movies etc) allowing you to securely store any client files that are relevant to your business. As highlighted in the image, there are two methods of uploading files. Drag and Drop: Dragging a file into the upload area as shown below will see the UI turn green to identify that the file has been accepted. 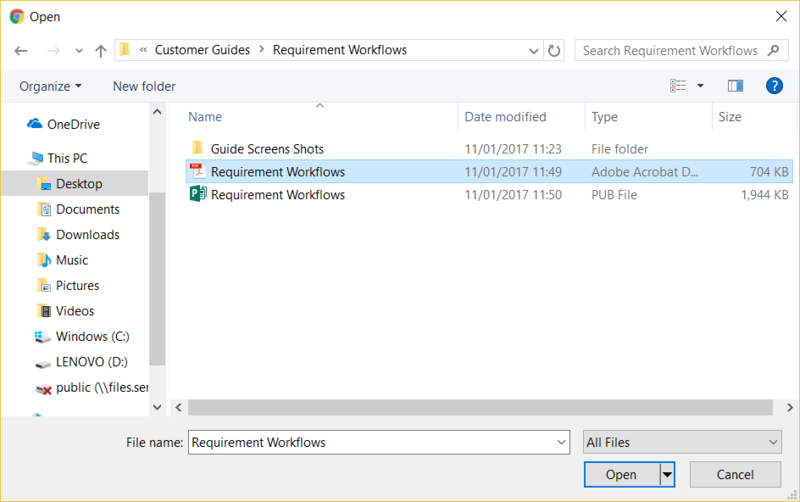 Select Files: Choosing to select a file will open a file upload window in from where the required file can be chosen and uploaded using the ‘open’ option.